I live in England's second city and write about what I find. He brought V Festival alive with his late afternoon set and now Example announces a new headline arena tour. 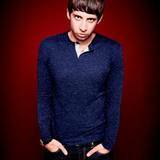 Following the release of brand new single 'Say Nothing', taken from his third studio album 'The Evolution of Man' out later this year Example will perform at Birmingham's LG Arena on February 28. Fans have been warned to prepare for a huge show which will include top hits 'Watch The Sun Come Up' and 'Kickstarts', last year's number one hits 'Stay Awake' and 'Changed The Way You Kissed Me' as well as the recently released 'We'll Be Coming Back' and more brand new tunes. Ministry of Sound will release 'Say Nothing' on the September 16 with an array of A-list remixes courtesy of TC, Roska, Burns, Foamo and Hardwell. The album 'The Evolution of Man' will be released on November 18.